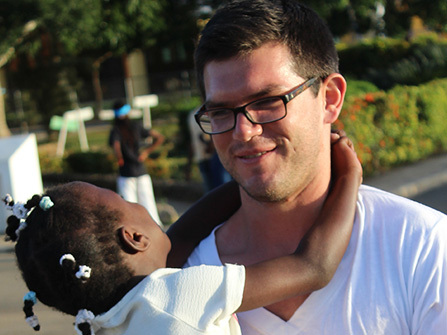 International Volunteers are essential members of the NPH family. 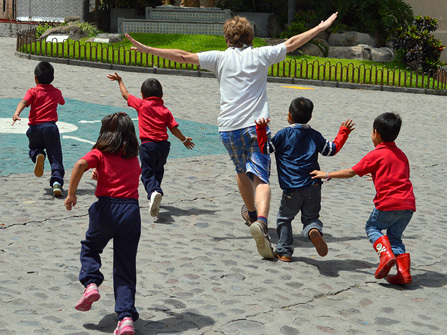 Our volunteers serve alongside the local staff, and provide services that are hard to find in Latin America. All volunteers hold a job during the day and spend time each evening and weekend with children. 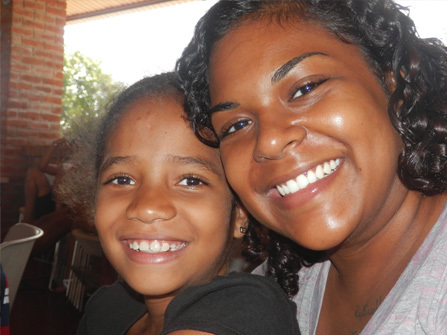 Our volunteers come from all around the world, and live in community at our NPH homes. We accept single volunteers, married couples and families. Volunteers must be 21 years old, and in good health. Volunteers must be able to serve for 13 months. Many volunteers extend their service beyond the initial 13-month commitment. Volunteers must be conversational in Spanish (or French for Haiti). If they are not yet at that level when they apply, they must attend and pay for language school prior to beginning service. Volunteers must have experience working with children prior to applying. Successful volunteers are cooperative, flexible and patient. They have strong work ethics and are able to adapt to multi-cultural environments. They are respectful of their host country and its culture, and maintain positive attitudes. Volunteers serve as teachers, tutors or librarians. Many homes have their own schools that educate our preschool through middle school students. We need volunteers with teaching and tutoring skills at all levels. 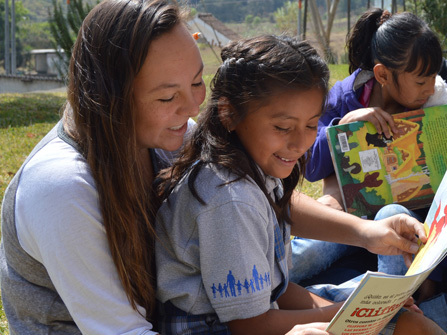 Librarians work with school staff and caregivers to increase the students’ literacy skills. Volunteers serve as doctors, nurses, clinic assistants and therapists. All the homes have “internal” clinics that serve the children and staff of NPH. Some homes have clinics and hospitals that serve the surrounding community as well. Our volunteer therapists provide otherwise unattainable speech therapy, play therapy, physical therapy and occupational therapy. Volunteers serve as Communication Officers, Project Coordinators and in our Sponsorship program. Administrative volunteers work with the home and the network of global fundraising offices to communicate with donors and the public about NPH. Volunteer Coordinators help support the current volunteers and screen and place pending volunteers. Visitor Coordinators assist visitors from around the world who come to see and experience NPH first hand. Volunteers lead and coordinate programs such as women’s empowerment, men’s empowerment, youth leadership, life skills and community support projects. We often have unique volunteer opportunities that may not be listed on the website. These can include architect, environmental educator, swim instructor, activities coordinator, catechist, pharmacist, etc. We prefer to receive applications via the NPH secured server. Using this form will speed up the application process. You may save your work and return to the application as many times as needed before submitting it. If you must submit a Word document, please send it electronically to volunteers@nphusa.org. After your application has been submitted, NPH USA will review it and contact you about next steps. You should hear back from our staff within 2 weeks of submitting the application. The entire process can take 2 – 4 months. Volunteers generally start in either January or July, and applications are due by July 1 for a January start date and January 1 for a July start date. We often have openings after the application due date, so we encourage you to apply even if you have missed the deadline. If you have any questions, please contact our International Volunteer Coordinator, Jennifer Abercrombie Foster, at 888-201-8880 or volunteers@nphusa.org. Are you a former volunteer? We want to hear from you! NPH does not charge volunteers to apply or serve and there is no fundraising commitment. Volunteers receive room and board, as well as access to basic medical care and a monthly stipend ($50 – $100 U.S., depending on the country). Volunteers must pay for their transportation to and from the country where they serve, but NPH staff will meet you at the airport/bus station. Volunteers with weak language skills must receive/pay for additional language training prior to beginning service. NPH USA pays for the IMG Patriot Plan for international insurance. See details below. Successful volunteers are cooperative, flexible and very patient. They have a strong work ethic and are able to adapt to a different cultural environment, including working with people from around the world. They are respectful of their host country and its culture, and have a positive attitude to share with the children. The minimum age for volunteers is 21. Do I need to speak Spanish/French? Volunteers with a strong command of the local language(s) are better able to serve the children and are given priority. We ask that you are either proficient in the language and/or will make a commitment to attend a language school before you begin volunteering. The minimum volunteer commitment is 13 months. We require the commitment because it allows time for the volunteers and the children to form lasting relationships – longer commitments are encouraged. Do you accept short-term volunteers? For the most part we do not accept short term volunteers. In recent years we have had few or no short term positions available in the summer months. To find out if we may have summer openings please contact our International Volunteer Program Director at volunteers@nphusa.org. Most homes have volunteers begin in either January or July. For a January start date, please submit an application by July 1. For a July start date, please submit an application by January 1. Even if the deadline has passed, you are encouraged to apply. It is best to apply early, since there are limited opportunities! Volunteers receive room and board at the NPH home. 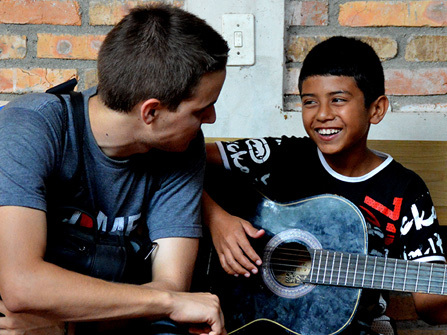 Housing varies by country and ranges from apartments to dormitory-style rooms with fellow volunteers. As with any international travel, risks are involved and it is important to be aware of your surroundings and the local situation. NPH strives to provide a safe and secure environment for the children, staff, and volunteers. Each home has safety guidelines that volunteers must follow. Can I speak with a former volunteer? Yes! Please contact us and we will put you in touch with a current or recently-returned volunteer from the country you are considering. Talking with a former volunteer can help answer your questions and assist you in deciding if NPH is right for you. Who pays for a volunteer’s health insurance? NPH USA covers the costs of the IMG Patriot plan for all US volunteers. The plan includes a $250 deductible, and a $100,000 annual limit, as well as international emergency care with a $500,000 limit for medical evacuation and up to $50,000 for emergency reunion. All applicants apply online at https://www.nph.org/ws/volunteers/application.php. 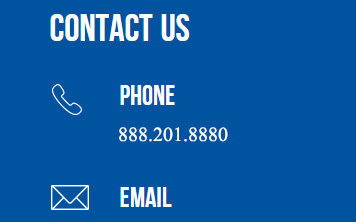 Within two weeks our staff will contact you regarding your application. If you qualify, we will arrange for a phone/skype interview. During the interview we will ask you many questions, assess your language skills, discuss possible placements, answer any questions that you may have about serving with NPH, and discuss the next steps in the selection process. After the interview we will check your references. The process is long and will require patience on your part. For more information, please contact our International Volunteer Coordinator, Jennifer Abercrombie Foster, at 888.201.8880 or e-mail volunteers@nphusa.org.